“Accreditation of Degree-granting” is a certification system created by TWAEA in the hope to assist all universities to establish a quality enhancement mechanism, and to help them to emphasize their competitive advantages and development characteristics. In order to promote the higher education's global talent migration and to elevate international visibility and competitiveness, TWAEA dedicatedly integrated the topic of international development, which has been one of the major concerns of Taiwan's universities, and hosted Promotion of Cross-Border Development of Taiwan's Higher Education & Accreditation of Degree-granting Award Ceremony on October 22nd, 2018. This year, 9 departments (institutes) of 3 universities underwent the process expert consulting, written assessment, improvement and adjustments, on-site assessments and passed the certification. The bodies passing the Higher Education & Accreditation of Degree-granting included Continuing Education Bachelor’s Program of interior Design of Feng Chia University, Department of Social Sciences of National Open University, School of Nursing of Chang Gung University of Science and Technology, Department of Gerontological health Care of Chang Gung University of Science and Technology, Department of Respiratory Therapy of Chang Gung University of Science and Technology, Department of Early Childhood care and Education of Chang Gung University of Science and Technology, Department of Applied Cosmetology of Chang Gung University of Science and Technology, Department of Nutrition and Health Sciences of Chang Gung University of Science and Technology and Graduate Institute of Health Industry Technology of Chang Gung University of Science and Technology. TWAEA Chairman Dr, Sheng-Li Fu spoke on the topic of Cross-Border Development of Taiwan's Higher Education – International Joint Accreditation. In recent years, TWAEA has been effectively acting as a role that bridges Taiwan and the world. In addition to active participations and obtaining memberships in various international assessment and evaluation organizations, TWAEA has also signed MOUs with education quality assurance organizations in Thailand, Japan, Russia, Australia, New Zealand and China. 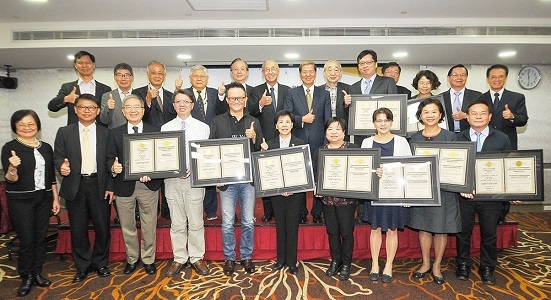 Moreover, to ensure the cross-border education quality of Taiwan's higher education, TWAEA has also cooperated with the education quality assurance organizations in Japan and Thailand to promote International Joint Accreditation Project. It is hoped that through the promotion of these projects, Taiwan's higher education quality assurance system will reach an international standard, and that Taiwan's universities will obtain better international visibility and competitiveness.